Search Engine Optimization, or SEO for short is a complicated topic. People that do not know a lot about it can easily become overwhelmed. We try our best to explain to clients some of the misconceptions about SEO and what we are doing to improve theirs and why. This is not true. Google only crawls sites once a month so it takes time for efforts to be recognized and allow you to move up. It takes around 3 months to see results with SEO. If only this was true… SEO needs to be consistently maintained. We work on SEO for our clients on a daily basis. Content is KEY! Without content SEO for a website is a nightmare. There are so many benefits to having a blog. It is a way to add fresh and valuable content to your site regularly. This can cause your site to be flagged and penalized by Google. Keywords are important but stuffing them or trying to hide them causes more harm than good. SEO algorithms change all the time. 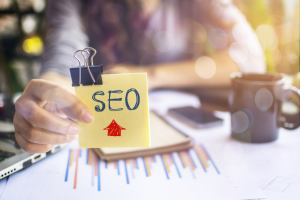 One of the many perks to hiring someone to do your SEO is that since it is their job they are constantly educating themselves on the new algorithms of SEO. The moral to this story is that if you are not an SEO expert it is in your best interest to get someone to help you. It is important, but if it isn’t your specialty it’ll take too much time away from running your business.